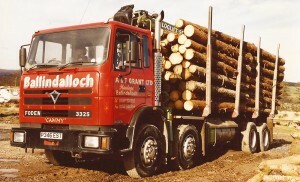 A & F Grant Ltd is a highly experienced Company having been in operation for generations and locating to Ballindalloch in 1943. In 1973, brothers Andrew and Fred diversified the family business beginning to haul animal feed for the local farming community. Shortly after they began hauling timber around the north of Scotland. 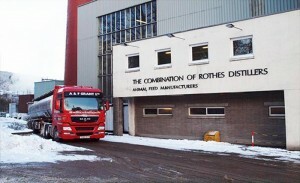 In 1987 the business further expanded with the purchase of a general purpose liquid tanker for the haulage of whisky by-products used for animal feed. Over 20 years later and A&F Grant have never looked back, confident in their ability as a quality operator underpinned by decades of experience in road haulage and farming specialising in bulk liquid and round timber transport. Located in the heart of the whisky capital of the world the Company is perfectly positioned to provide haulage of whisky by-products direct from distillery. This element of our business, combined with our extensive storage facilities at Ballindalloch provides customers with a flexible and adaptable service, in a fast moving and voluminous market. In respect of our round timber transport division we are the largest round timber haulier in the North East of Scotland, renowned for hauling vast quantities of round timber since 1980.